HUGE price reduction! Looking for a beautiful home with privacy and amazing views? Here it is! This 3 bedroom, 3 bath home with office/den sits on 2.29 acres and is placed perfectly for phenomenal views of Mt. 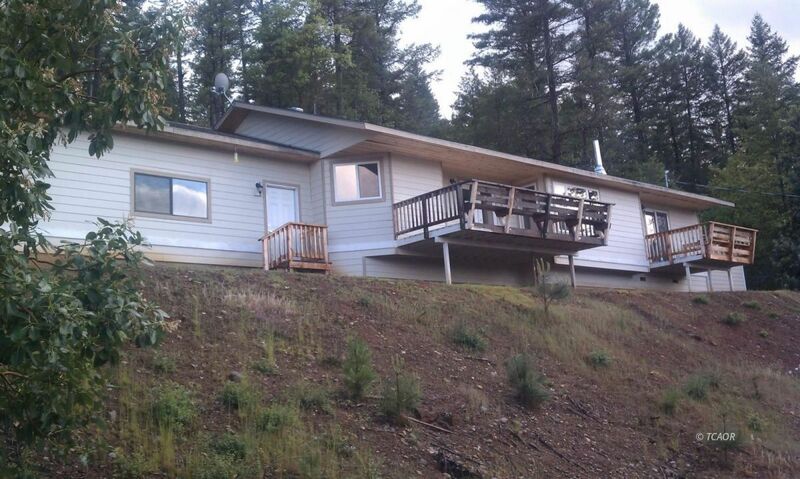 Shasta from the kitchen, dining, living areas as well as the master bedroom & adjoining decks. Home boasts gorgeous laminate flooring, stainless steel appliances, smart water heater, solid surface counter tops, garden area, water storage tank with gravity feed to home, french doors to the deck off dining area, slider to deck off master bedroom, built in closet shelving 2 car attached garage with automatic doors, extra large insulated storage shed & more.